Contaminated fuel, fuel compromised by outside agents or equipment requiring on-board fuel treatment all are critical areas in maintaining the quality of your fuel and play a vital role in preventing engine failure. The most common cause of downtime and poor engine performance is caused by contaminated fuel. Fuel polishing consists of a variety of applications including treatment, filtration, water removal and emission control. Fuel polishing systems and equipment restore and optimize fuel quality, maintaining the integrity of the fuel which helps keeping your equipment operating at peak performance. 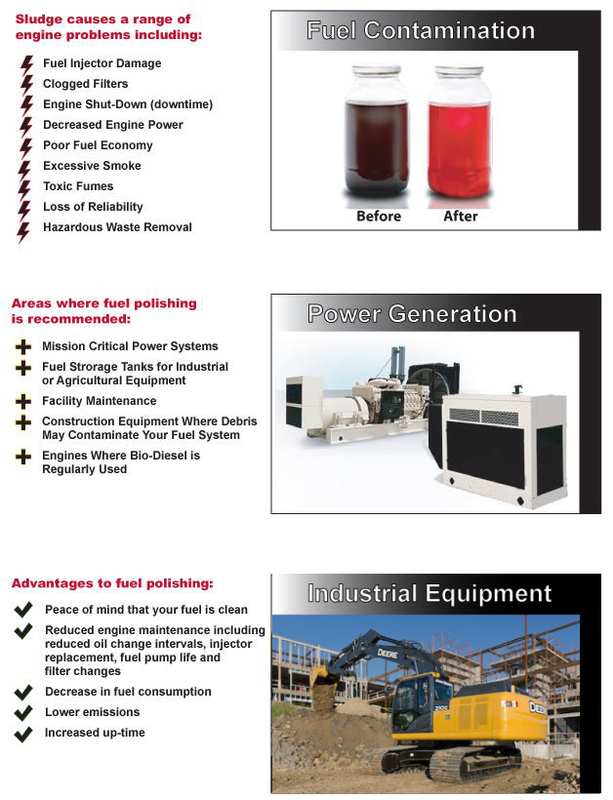 The Illini Power Products Fuel Polishing systems are critical in helping you avoid the high cost of repairs, fuel replacement, environmental hazards and all costs associated with downtime on the job. 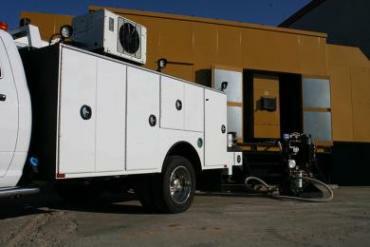 Illini Power Products is dedicated in providing you with the best service in fluid treatment. Specializing in fuel conditioning, treatment and filtration services that will help you stay productive, lower operating costs and control emissions.